Under seige and starving, the people of Rome are about to surrender to the savage fury of Tarquin - The Conqueror. During his remorseless attack a young warrior is found, a warrior to save the young Republic that was born from blood and sorrow. But he must face the might of the invader alone! 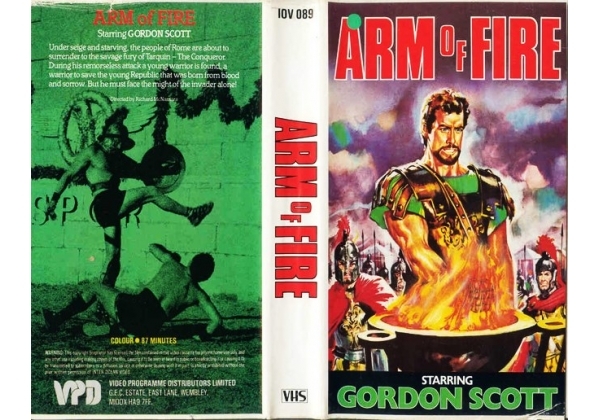 Or find "Arm of Fire" on VHS and DVD / BluRay at Amazon.